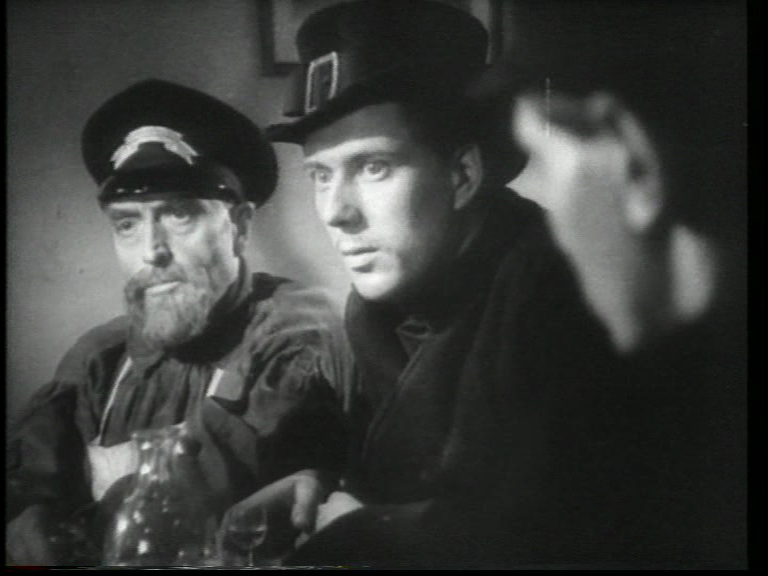 While doing a bit of side-research on THE 39 STEPS — side-research being the stuff that’s strictly work-avoidance — I ran KNIGHT WITHOUT ARMOUR, the big Korda misfire, directed by Jaques Feyder, whose LA KERMESSE HEROIQUE I had just revisited. 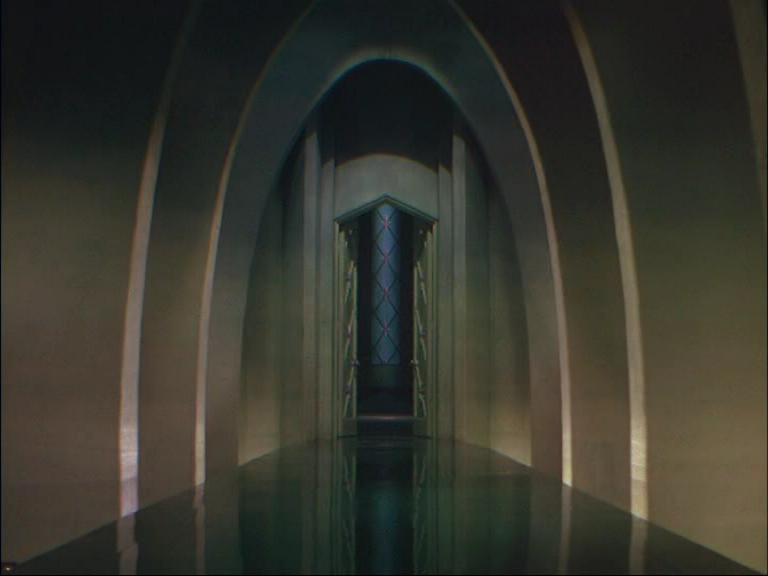 And here’s Moscow, elegantly imagined by Feyder and Clair’s regular production designer, Lazare Meerson. 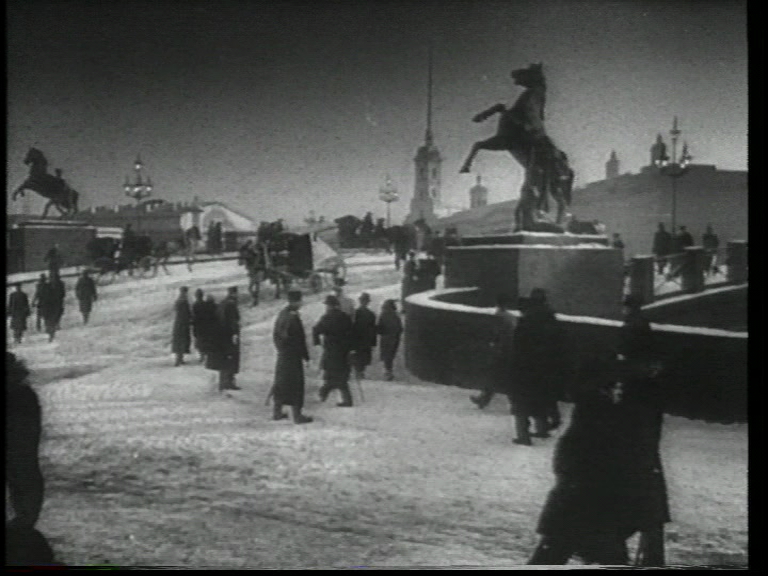 Much of this film boasts enormous reconstructions of Russian revolution scenes, so it’s a little surprising to find such a minimalist Moscow. Very effective and convincing, though. 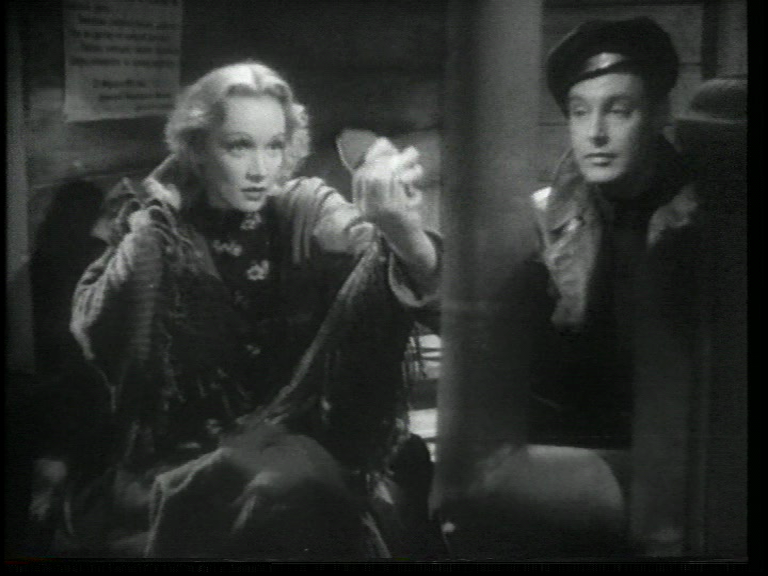 Dietrich and Donat (who have surprising quasi-chemistry) circle each other for the first half hour without meeting, thirty minutes devoted to explaining why Donat, an Englishman, has become a Red Comissar. First he’s a journalist, due to be kicked out of Tsarist Russia for his too-honest articles — a complete retread of Olivier’s role in THE YELLOW TICKET. But swiftly he’s recruited by His Majesty’s Secret Service, in a surprisingly convincing, low-key scene — the functionary buys him dinner and drops a hint. 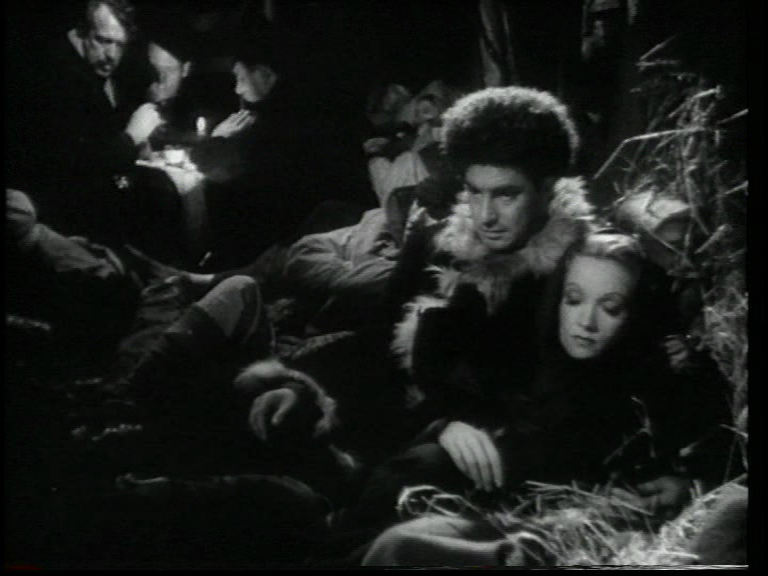 Then he infiltrates the revolutionary movement, gets implicated in an assassination attempt, spends two years as a prisoner in Siberia, and is liberated by the Bolsheviks and finally is placed in charge of aristocratic prisoner Marlene Dietrich (the only Russian with a German accent — the rest are English and Scottish and say things like “What the dickens?”). During all this circumlocutory preamble, Marlene just swans about in frocks, searching for a subplot she can call her own, but without her usual success. It’s 39 STEPS time again when Donat goes on the run with this blonde, hunted by both sides — but the promising cross-country pursuit is continually interrupted by captures and escapes which always depend on ludicrous amounts of luck. But the train station with the mad railway guard (Dundonian character thesp Hay Petrie’s finest role: in THE FALLEN IDOL he just walks in and winds the clocks) is very fine, and a scene of Donat reciting Browning to Dietrich is actually sublime — Donat’s voice, the verse, and Miklos Rosza’s underscoring and Marlene’s wide, luminous eyes… The Adam & Eve idyll in the forest is beautifully shot by Harry Stradling. 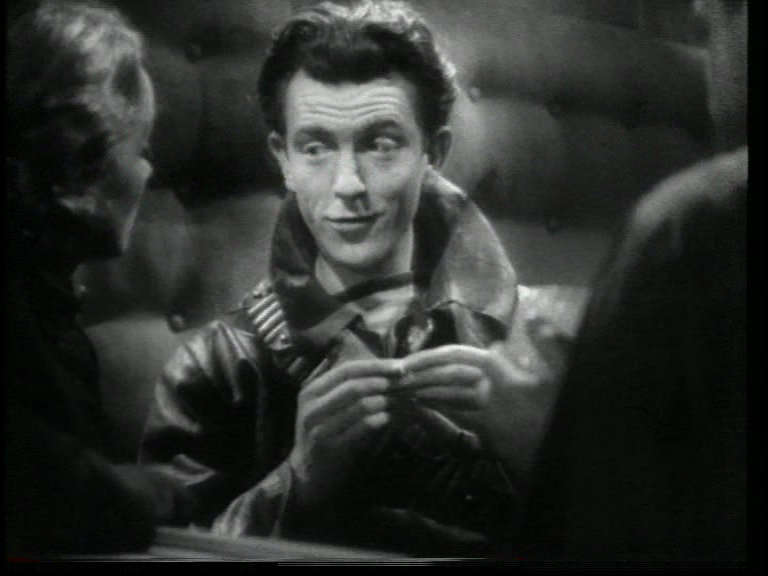 Peter Bull plays another commissar, a little glimpse into how the Russian ambassador of DR STRANGELOVE started his career, perhaps. There’s also Miles Malleson — “He won’t be doing the crossword tonight!” — and Raymond Huntley! Yay, Raymond Huntley! 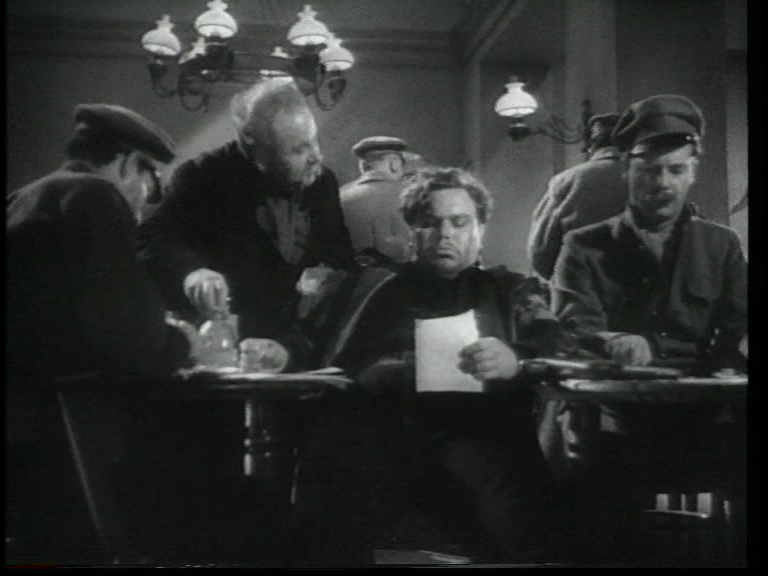 Korda contract player John Clements gets to steal the show — a romantic Russian who dies for love, he basically usurps Donat’s role, leaving the whole thing to sort of fray away to a Grand Finally. We realize that the central relationship hasn’t developed past love at first sight, the jeopardy has all been of the same sort, and so the movie’s been running in place for an hour, as gigantic Meerson sets trundle past. No wonder the thing didn’t do well. But as a sort of fantasy travelogue of the Russian revolution, sort of diverting, and never less than beautiful, visually. Haunted by history, since a traditional Happy Ending is impossible with Russia as one of the main characters. Impossible to this day, arguably.